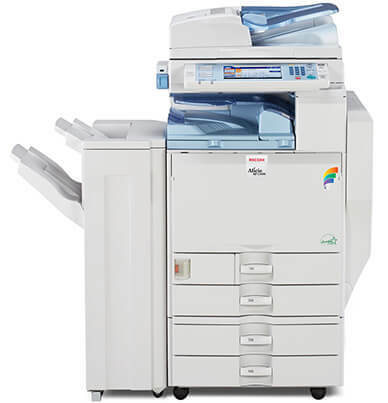 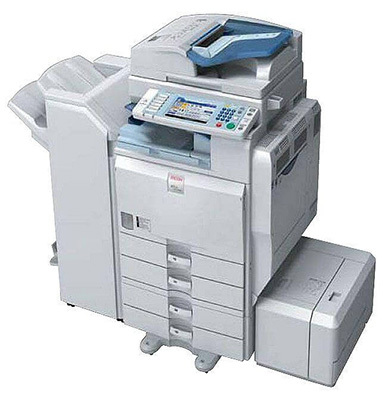 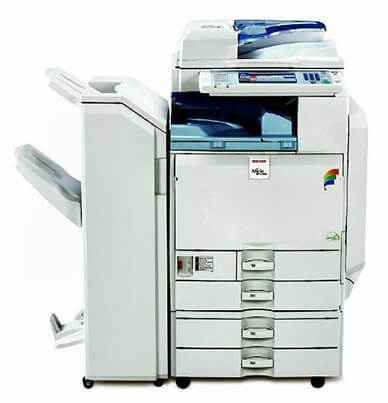 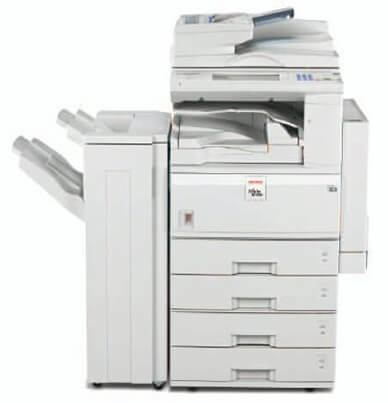 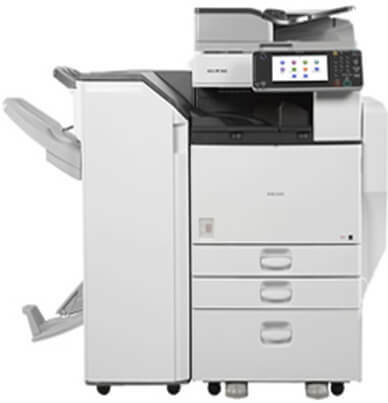 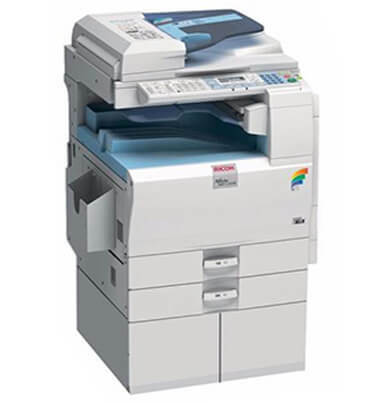 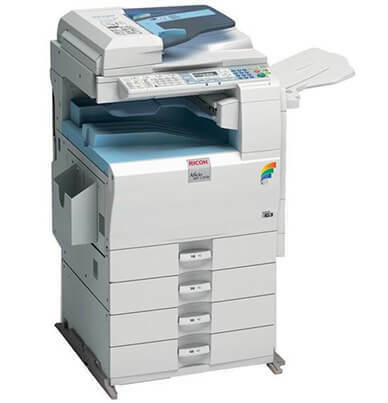 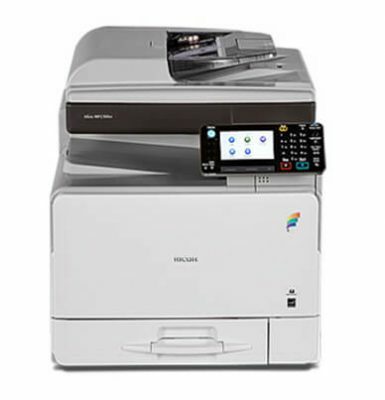 Ricoh Aficio MPC 4000 has exceptional speed and productivity whether you need black and white or full-color documents, or a combination of both. 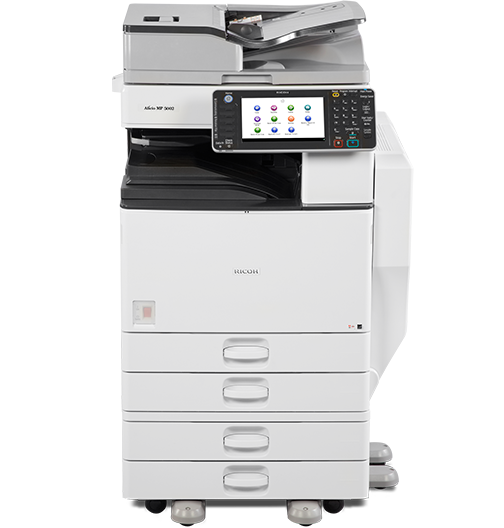 Printing and copying at speeds up to 40 ppm and first color copy times are under 7 seconds, and under 4 seconds for black and white. 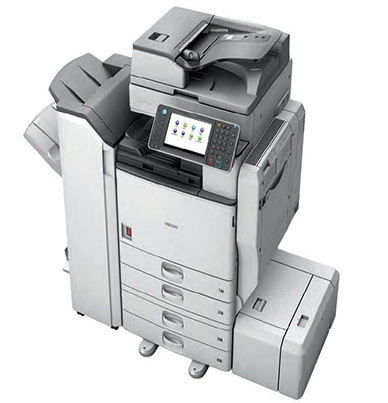 Beautiful graphics and photos are produced with a print quality resolution of 1200 x 1200 dpi. 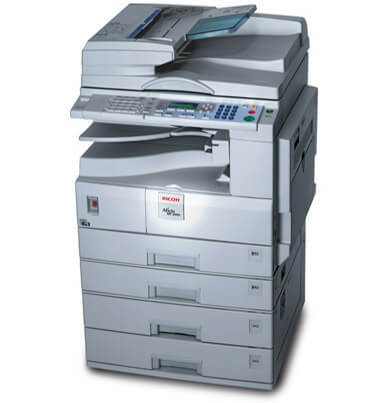 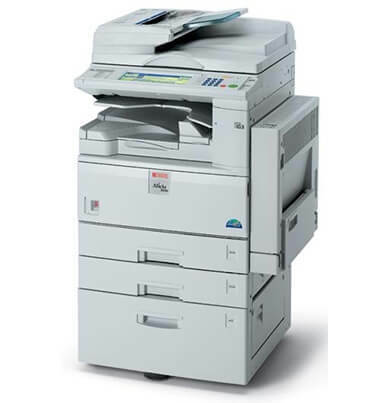 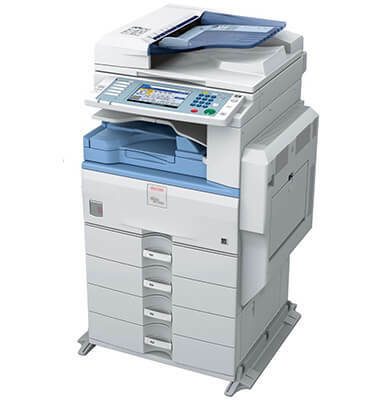 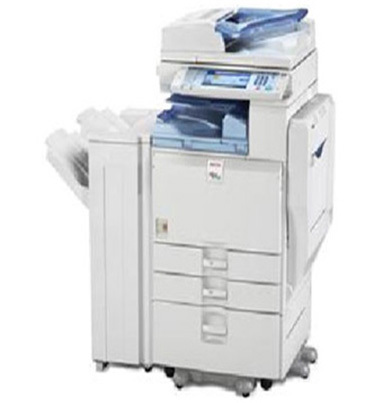 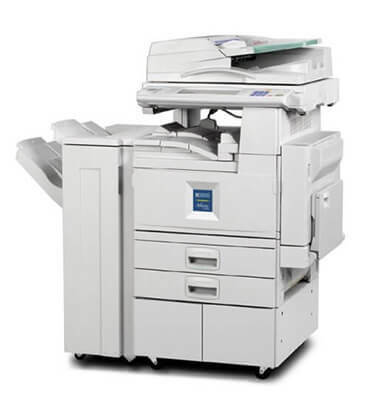 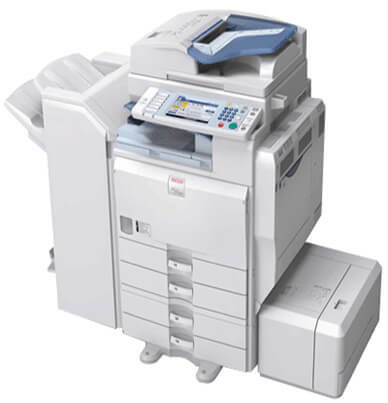 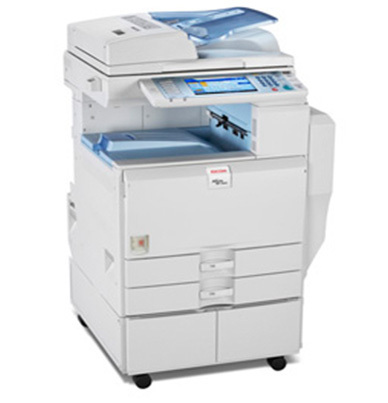 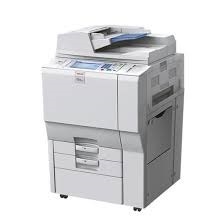 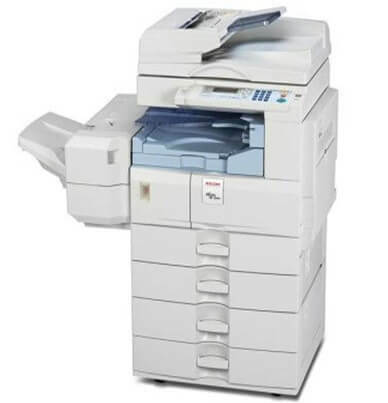 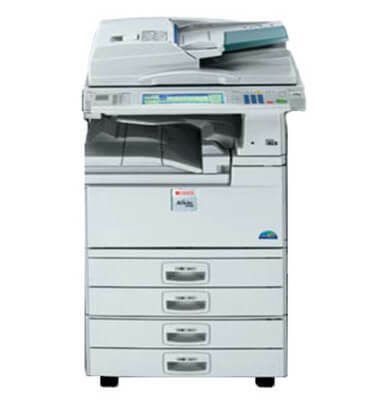 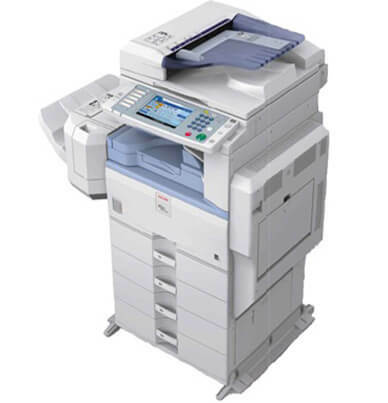 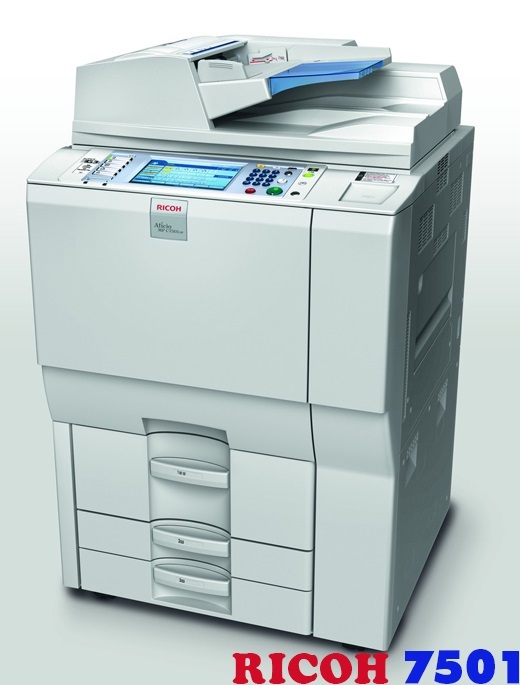 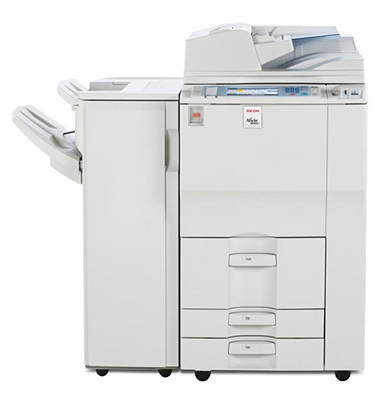 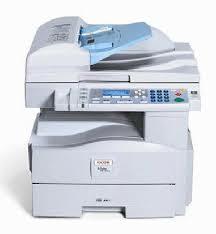 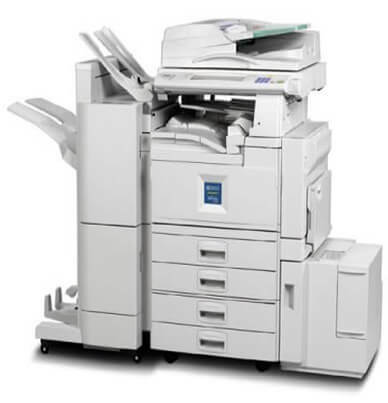 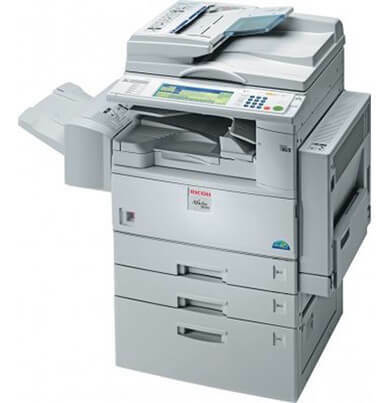 The Ricoh Aficio MPC 4000 comes as a standard copier and printer. 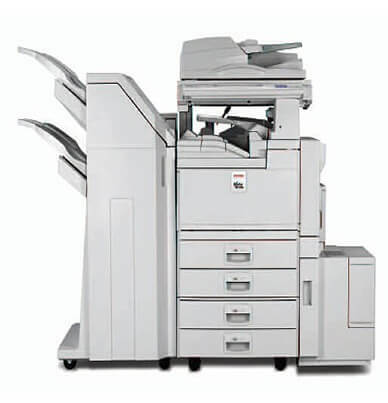 The standard 100-sheet Automatic Reversing Document Feeder easily handles one- and two-sided originals. 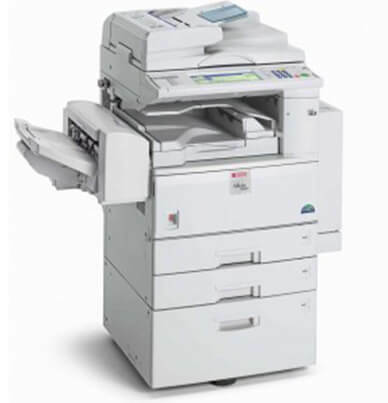 Standard Automatic Duplex produces cost-saving two-sided pamphlets, brochures, agendas and more. 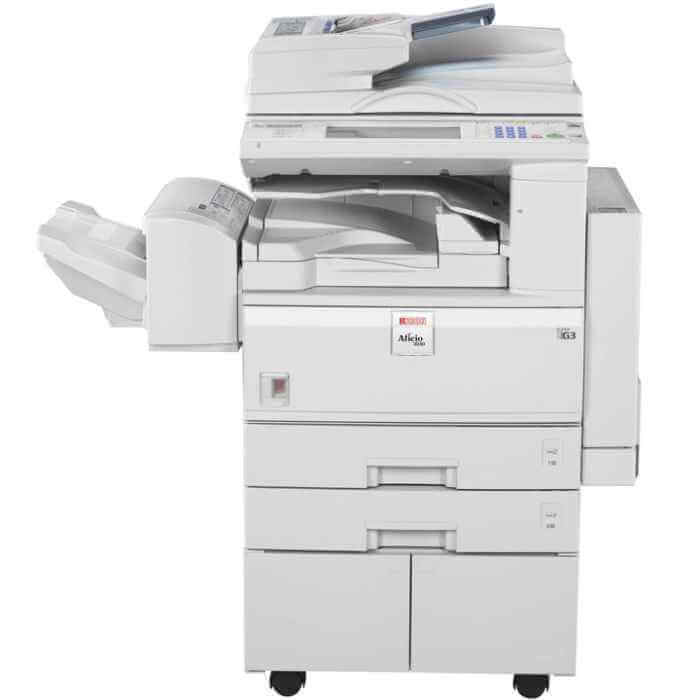 Two standard paper trays each hold 550 sheets plus the 100-sheet bypass tray offers a total standard paper capacity of 1,200-sheets. 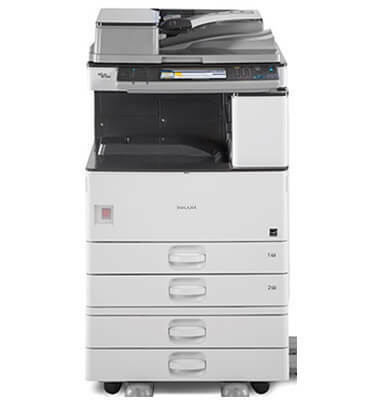 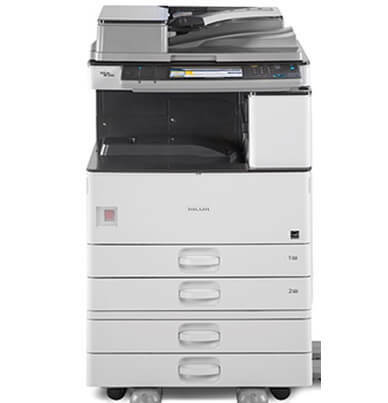 There is the option to expand this MFP even further with faxing and scanning capabilities and a wide array of finishing options that offer a variety of paper handling and finishing possibilities. 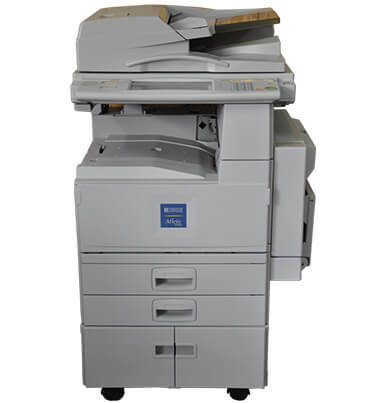 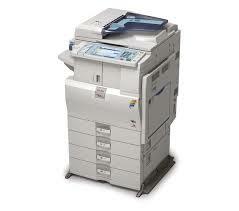 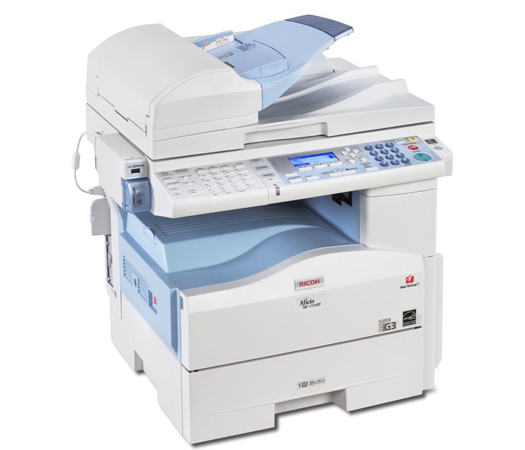 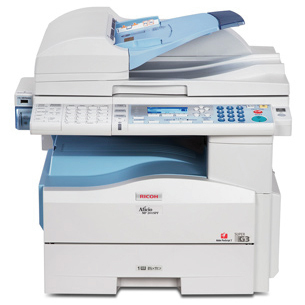 With a monthly duty max of 200,000 pages, this machine is ideal for any company large or small. 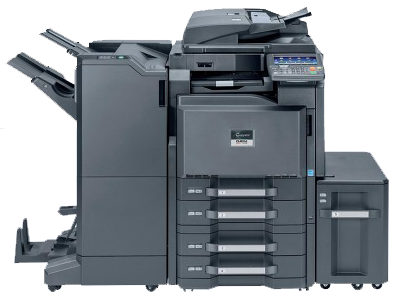 There are four toner cartridges needed for the Ricoh Aficio MPC 4000; the black toner (Ricoh 841284) will yield an estimated 23,000 pages at 5 percent. 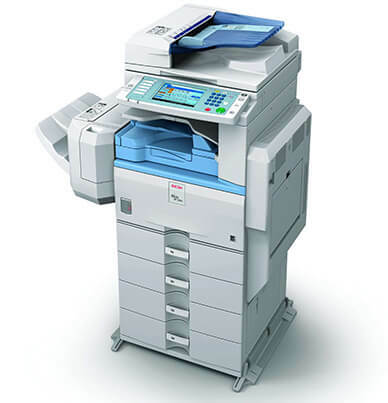 Cyan (Ricoh 841287), magenta (Ricoh 841454), and yellow (Ricoh 841453) will each yield approximately 17,000 pages at 5 percent. 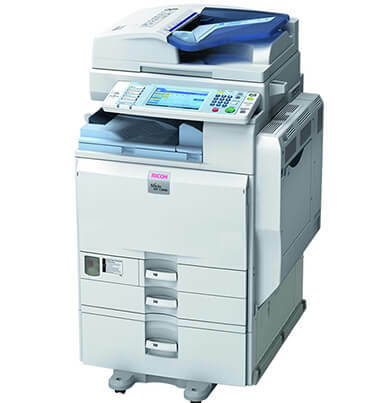 The Ricoh drum unit is also available in black (Ricoh D029-2251).